Mere mortals are happy with one biography or ghostwriting effort making it on to Amazon in a given year. But David Ritz long ago ceased being merely mortal. In 2014, Ritz is responsible as a ghostwriter for the autobiographies of Rick James (July 8), Aerosmith’s Joe Perry (October 7) and Andrew Dice Clay (November 11). 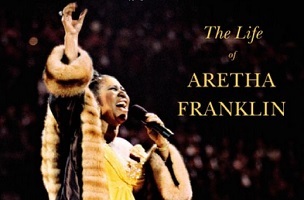 Today, he’s also got a biography of Aretha Franklin out, which follows his 1999 collaborative effort with the singer on her autobiography. When the Los Angeles-based Ritz appears tonight on The Tavis Smiley Show to discuss all this, there will be another unusual measure of this man’s prolific efforts. The fifth book Ritz has out this year, a look at the final year of Dr. Martin Luther King‘s life, was co-written with Smiley. Hey, How’d You Build a Successful Ghostwriting Career, David Ritz?